Posted by Barbara Prime at 1:19 p.m.
Hon, I hope you get feeling better very soon. Being down with small ones is not fun. 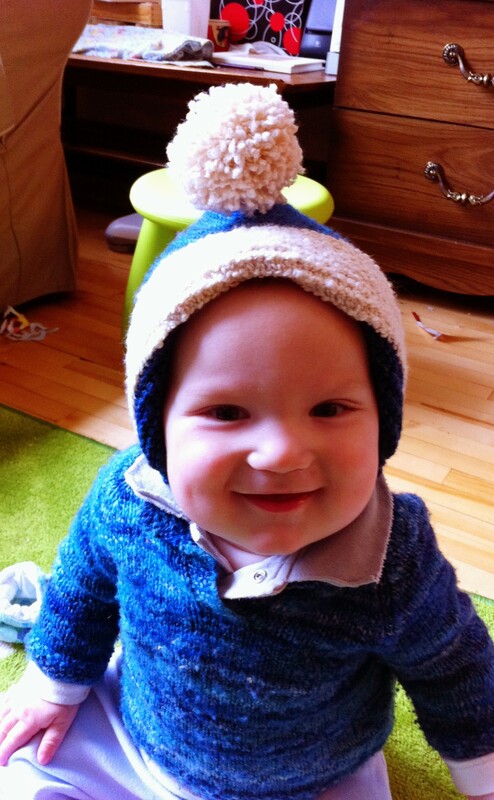 But baby looks just genuinely very happy and satisfied with everything - and the knitting is, of course, wonderful. Don't push yourself. Life is shorter and more important than we realize most of the time - and by life, I mean sharing space and peace, having a home, being able to breathe and love. You have it all. November 17, 2011 at 2:02 p.m.